Travel in style and security as you make your way through the world. 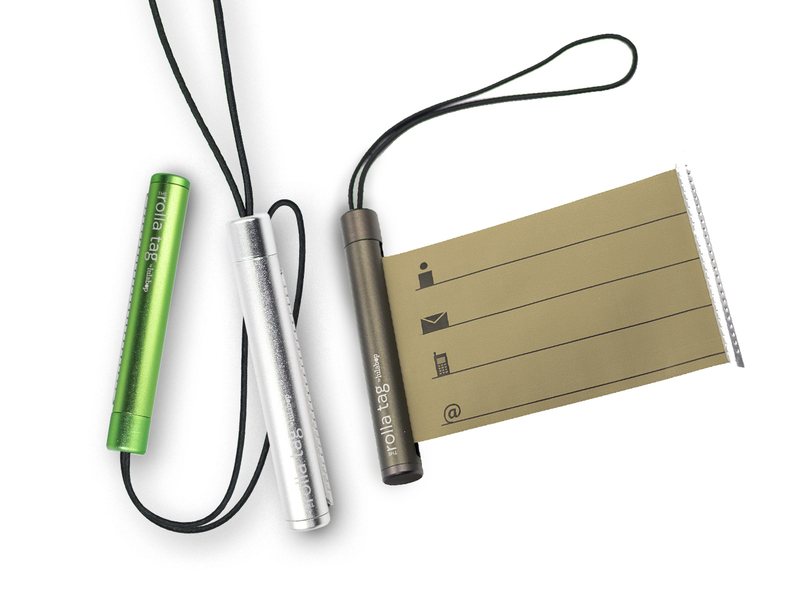 The Rolla Tag is a unique identifier for your luggage and a contact label in one! 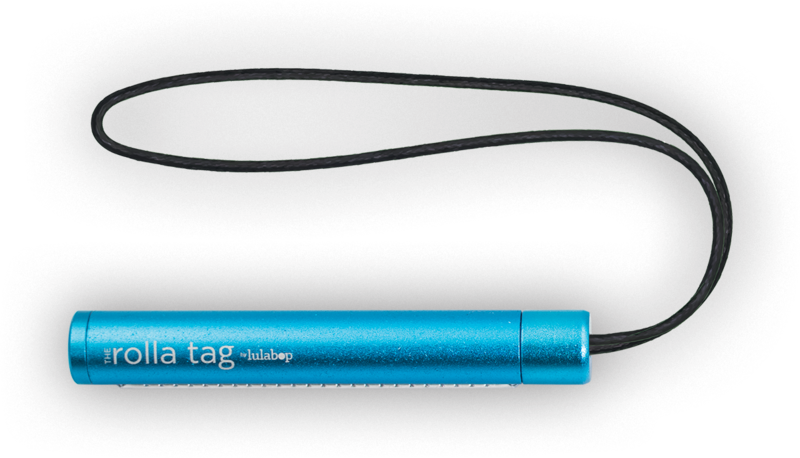 The Rolla Tag is beautifully finished with Anodized aluminum and comes in a variety of colors to help you express your style. Its premium look and feel make it a perfect fit for any luggage set. 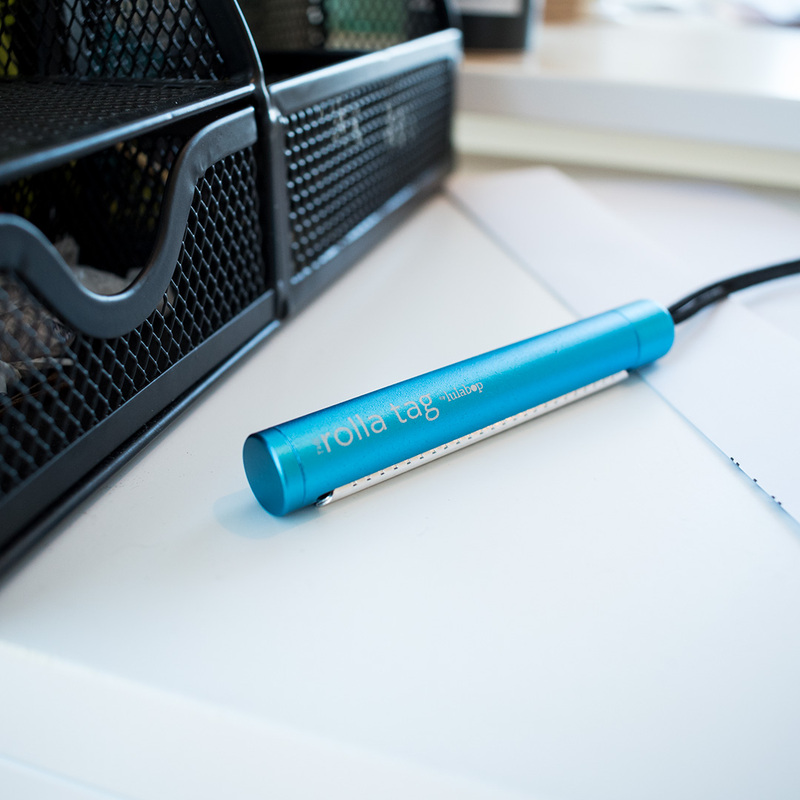 For those who move, the Rolla Tag is designed to stand out while fitting in. Keep track of your luggage in the wide world. Wrap it around handles, straps and loops for a snug and stylish identifier. The included contact sheet within the Rolla Tag retracts to protect your information from wandering eyes at the airport or in daily life. It's a great tag for suitcases, since it won't get in the way of the handle like some bulky luggage tags do, and depending on what color you get, it should make it easier to quickly identify your idenfical black suitcase on the airport luggage carousel. Also, it seems to be a nice strong metal, yet lightweight. The material that pulls out to write on is not paper, as I thought it would be...instead, its more like a thin strong sheet of vinyl or plastic (in an odd shade of beige.. .would think white is better for writing surfaces, up maybe that's more expensive). The cord seems to be a sufficiently strong nylon cord, and attaches by looping the tag around the suitcase handle, and then back through the cord. I get a lot of compliments when people see what this tag is and does. The only problem may be that if my bags do get lost, the airline personnel may not know that this is the ID tag! I love how unique this is - I'm not sure if my luggage was lost that someone would think to look at this to figure out who it belongs to, but this is so unique. I think it's a great identifier for when your luggage is with other people's (like at the airport). It's very cool. GET A ROLLA TAG, ON THE HOUSE! 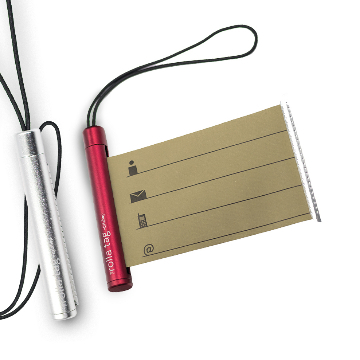 The RollaTag is an identification tag with a retractable canvas panel, so that your personal information stays hidden until it is needed. 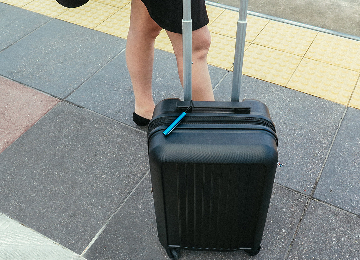 It is unique and eye-catching, and accommodates all bag and luggage handles. Mark your bags in style while holding onto your privacy. Measurements: Length 3.5", Diameter .5"
Copyright © Lulabop - Heroclip. All rights reserved.